New Delhi: Acknowledging that all was not well with the existing system of green regulation, the government has proposed the setting up of an autonomous statutory body to grant environmental clearances and ensure monitoring and compliance on environmental laws in the country. The proposal for the body named National Environment Protection Authority (Nepa), which was released by the ministry of environment and forests on Thursday, may be introduced as a legislation in the winter session of Parliament. “This is a major step forward at strengthening the executive. In the last 15-20 years, because of the weakness in the executive, the judiciary stepped in, in a major way. 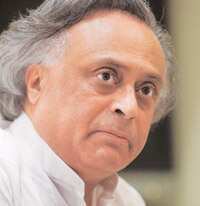 But the government cannot abdicate its role in environmental governance to courts," said Jairam Ramesh, minister of state for environment. The executive and the judiciary have been sparring over powers in the environmental sector for a while as Mint reported on 8 September 2008. Recently, the ministry also released a proposal for a green tribunal, which will subsume many court-appointed committees and take the burden of hundreds of environmental cases from the courts. The proposal says that Nepa will be created through legislation, will be independent of the ministry and will be equipped with its own budget and powers to make its procedures. Ramesh said that the body will be professionally managed with specialists from fields such as applied sciences, economics and law. The body will draw its powers from the EPA and will also oversee environmental health, ecosystem protection, waste management, and chemical safety and biosafety. The proposal, which has been circulated to all state governments for comments and is also open to public comments over the next 30 days, offers four options for how the Nepa’s powers can be shared with the Central Pollution Control Board, the apex body for monitoring pollution and setting standards but which reports to the environment ministry. One of the options, is to give complete power of granting environmental clearances to the new authority rather than the ministry, which currently grants these clearances. All major projects such as in the power, mining, infrastructure, dams, industrial sectors need mandatory environmental clearance from the Centre. The process of environmental clearances has long been controversial and criticized on account of inadequacy and lack of transparency. “The EIA process leaves a lot to be desired and public hearings are not public many times," Ramesh said. Mint has reported on lapses in the environmental clearance process in several stories since December 2007. “The fact that the ministry is taking note of the lapses in the process is a positive step but just setting up an authority doesn’t mean that environmental governance will be good," said Ritwick Dutta, a lawyer who specializes in environmental cases. He added that giving all powers to a statutory body also means a dilution in ministerial responsibility but cautioned that actual functioning may not be easy. “So many authorities are created. Look at the groundwater authority. It hardly has any manpower to do anything," said Dutta. On the issue of consultants, who write the environmental impact assessments for project proponents, the ministry is also deliberating a rating system for consultants and the reports with help from the Quality Council of India, an autonomous body set up jointly by the government and Indian industry to realize the objective of improving quality competitiveness of Indian products and services. “Accreditation of consultants might be done sectorally or state wise," said J.M. Mauskar, additional secretary in the environment ministry.